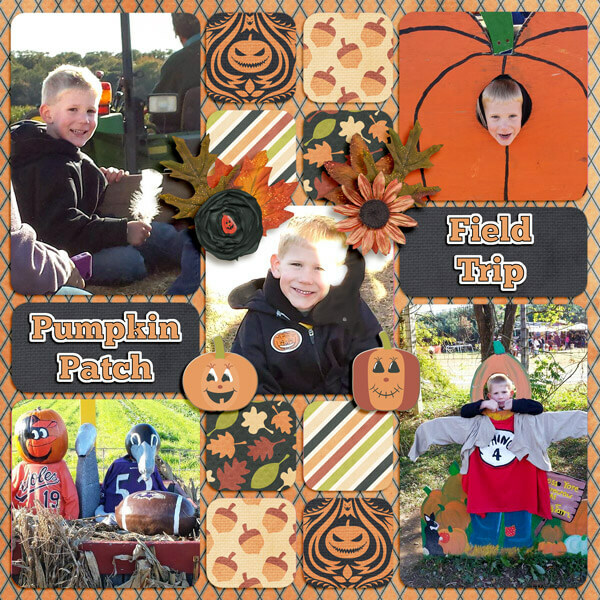 Welcome to the MyMemories October Blog Hop! We’re halfway to Halloween! 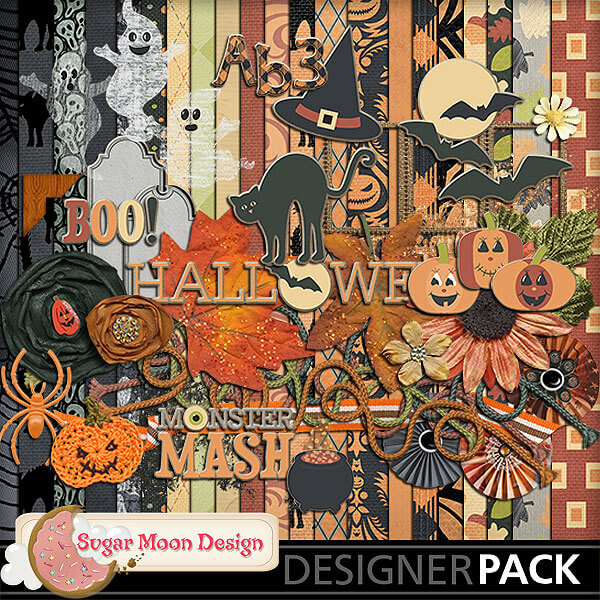 Halloween was the inspiration for this month’s mini kit, Pick of the Patch! I loved the color palette so much I created a larger coordinating kit that I hope you “pick up” in the Sugar Moon Designs shop (get it “pick!” I crack myself up!) I hope you enjoy both kits and make sure to stop by my shop and look around – there are more freebies scattered throughout, plus TONS of great kits! Also, if you’re not a fan of Sugar Moon Designs Facebook page or a subscriber to my newsletter, I encourage you to do both of those things! 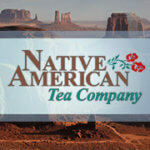 I usually try to tuck a gift into my newsletters (you don’t want to miss that do you?) . . . so stay in touch! 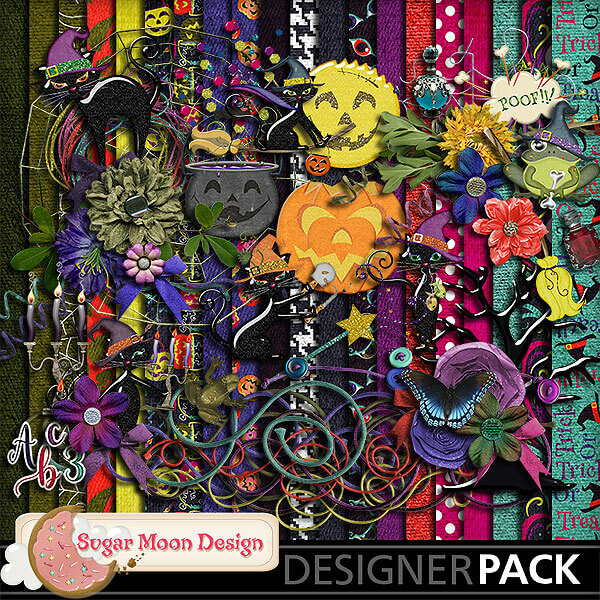 Here’s a preview of the coordinating Kit, “Pick of the Patch” which is available at MyMemories – and it’s on sale! Here are a few sample layouts of this kit in action! I have another great Halloween themed New Release available for you as well. This one is called, “Be Witched” and it’s just full of sweet and mischevious black cats and a cauldron full of cute stuff for lots of great Halloween layouts or party invitation or decorations! Grab it while you’re over in my shop! Here is the list of everyone else on the blog hop! Have fun! Love the flower and spider!!! They are beautiful!!! 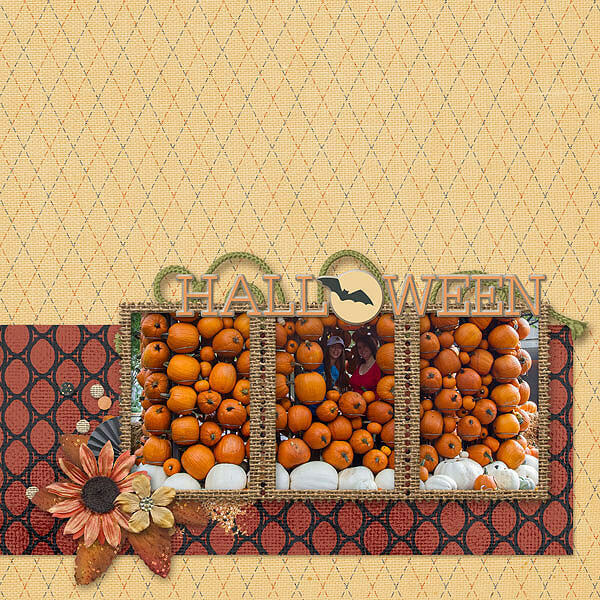 Love the leaf, pumpkin, scatter and candy!!! The papers are lovely!!! Thank you so much for sharing!! !